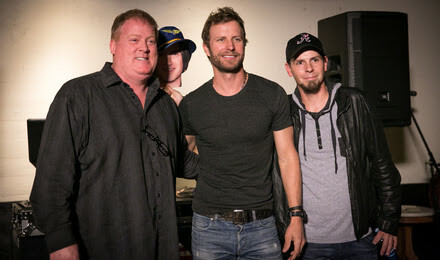 Dierks Bentley and co-writers Chris Tompkins and Josh Kear (who was out of the country and unable to attend) were celebrated last night (Sept. 24) for Dierks’ multi-week No. 1 and Platinum certified “Drunk On A Plane” at newly opened Nashville venue, The Sutler. 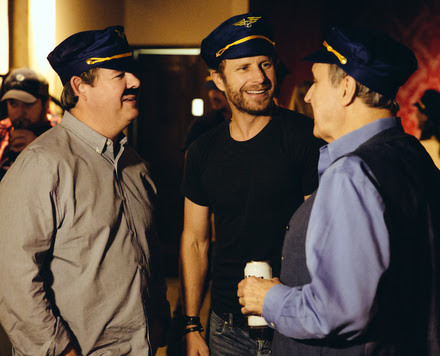 In keeping with the spirit of the song’s video, guests donned pilot caps and glasses similar to the ones worn by Bentley in the clip. ASCAP’s Mike Sistad greeted attendees, toasting the success of the song which is nominated for Single Of The Year and Music Video Of The Year at the upcoming 48th Annual CMA Awards. The song is Bentley’s 12th chart-topper as both an artist and songwriter. It is Tompkins’ 13th No. 1 song and Kear’s ninth No. 1 song. “It was late in making the album and I was out of ideas,” said Bentley. “I wanted to do a song about a hurricane,” he recalled, “and in songwriting, the code word for ‘bad idea’ is ‘interesting,’ as in, ‘that’s interesting,'”quipped Bentley. 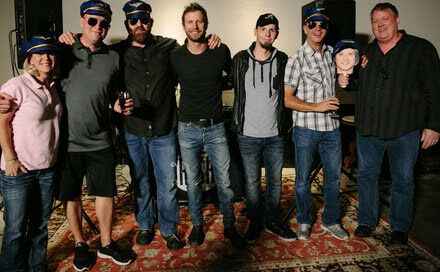 “Then, Josh said he’s always wanted to write a song called ‘Drunk On A Plane.’ I’m a pilot and I love drinking, so I didn’t even know at that point what the song would be about, but I knew I liked it.” Bentley went on to thank his management team of Mary Hilliard Harrington and Coran Capshaw, UMG’s Mike Dungan and others for their part in the song’s success.